(NEW ALBANY, Ind.) – Indiana University Southeast welcomed Douglas B. Bates, Diane K. Fischer, Maria D. Granger and Joey N. Rivera to the Board of Advisors. The purpose of the Board is to “be an active conduit for the sharing of IU Southeast information to the Southern Indiana community and from the community back to the administration at IU Southeast. To help the campus to provide programs and services that support academic success for the region’s diverse student population”. Bates is a partner and office executive member of Stites & Harbison PLLC in Jeffersonville. 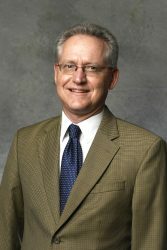 Prior to joining the firm in 1992, Bates served as an intern of Magistrate-Judge Kenneth Foster of the United States District Court for the Southern District of Indiana. Bates is a proud IU Southeast graduate with a Bachelor of Arts in history and an IU Bloomington doctorate in jurisprudence from the McKinney School of Law. Bates is involved in Boy Scouts of America, Clark County Bar Association, Defense Research Institute the Indiana State Bar Association and a member of the Jeffersonville Rotary Club. He is also involved with Junior Achievement, Leadership Southern Indiana and the Southern Indiana Legal Volunteers. Bates served as a member of the IU Southeast Alumni Association for ten years and as president for four years. He has also served as the IU Southeast representative to the IU Alumni Association Executive Council. 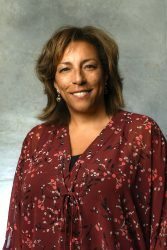 Fischer is the owner and president of L&D Mail Masters, Inc., a full-service direct marketing firm that she founded in 1986 in New Albany. Prior to starting L&D, Fischer worked as a customer service manager for Fire King International. With over 30 years of experience as an entrepreneur, Fischer is a veteran in her field. Fischer currently serves as a director of River City Bank headquartered in Wausau, Wisconsin. 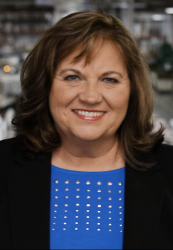 She has served as a director on a number of non-profit boards including One Southern Indiana and the New Albany Floyd County School Foundation. Fischer has received numerous awards for her contributions to business and economic development over the years. Her business was named one of the Top 500 Women-Owned Businesses in the United States by the National Association of Women Business Owners and as one of the Area’s Largest Women-Owned Businesses by the Louisville Business Journal. She was inducted into the Junior Achievement Hall of Fame in 2016. Granger is the presiding judge of Floyd Superior Court 3 in New Albany. She is also the president of the Veterans Court of Southern Indiana, Inc., which serves Floyd, Clark and Scott counties and is Indiana’s model for Veterans Courts throughout the state. Prior to her judgeship, Granger had a private legal practice and served as the deputy prosecuting attorney for the Office of the Floyd County Prosecuting Attorney. Granger graduated from IU Bloomington with a Bachelor of Science in education and from the McKinney School of Law with a doctorate of jurisprudence. She is a past adjunct professor at IU Southeast. Granger is lauded in the community for her work in establishing Indiana’s first Veterans Court and in increasing veteran’s courts throughout Indiana. She has received several awards for her work including the LifeSpring Foundation’s Chairman’s Impact Award and the Center for Women and Families Public Service Award. Additionally, the City of New Albany has issued two proclamations honoring Granger for her support of veterans and those who have incurred the costs of war. 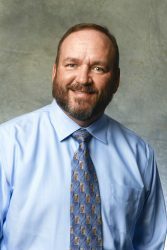 Rivera is the president and chief executive officer of Rivera Group, a certified service-disabled veteran-owned small business software development company in Sellersburg. With expertise in large-scale enterprise architecture, the company provides software, talented IT professionals, and cybersecurity tools to a variety of U.S. military and civilian agencies. With over 32 years of experience in the U.S. military, Rivera’s service spans from his entrance as a private in the U.S. Marine Corps to his current role as a lieutenant colonel in the Army Reserves. As a lieutenant, he provides expertise in cyber warfare to the United States Cyber Command. Additionally, Rivera serves as an assistant professor at West Point Military Academy, teaching courses in cybersecurity. Rivera received his bachelor’s degree in general studies from IU Southeast and his doctorate in software engineering from the U.S. Naval Postgraduate School. Rivera formerly served on the boards of One Southern Indiana and the Kentucky-Indiana chapter of Paralyzed Veterans of America. He is the 2016 recipient of the IU Southeast Distinguished Alumni Award. “These new Board Members bring a wealth of experience and contacts from our community at large and therefore will provide immeasurable support in facilitating expanded influence and conversations in southern Indiana and the greater Louisville area,” said IU Southeast Chancellor Ray Wallace.